“URL link” columns are used to render hyperlinks that can be clicked to open pages within your website, or in external websites. Issues to note: sometimes issues may appear when you’re sorting on URL columns that feature a complicated HTML structure. 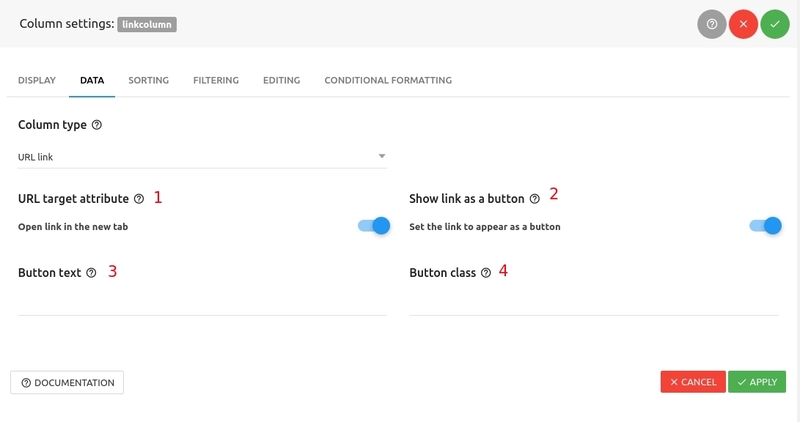 You can configure how the link should be opened, in the new tab or the same tab. “Engine link” column in this table is an URL link column.